Click Here To Apply For The Student Farm Program! If accepted into the program, students should plan to take STOCKSCH 376 "Managing the Student Farm I: Planning for Production" during the spring semester - work full time on the farm in the summer - and then enroll in STOCKSCH 476 "Managing the Student Farm II: Harvesting, Marketing and Finances" Both the spring and fall semester lecture courses are deisgned to be taken with practicum course STOCKSCH 398E "The Student Farming Entperise". 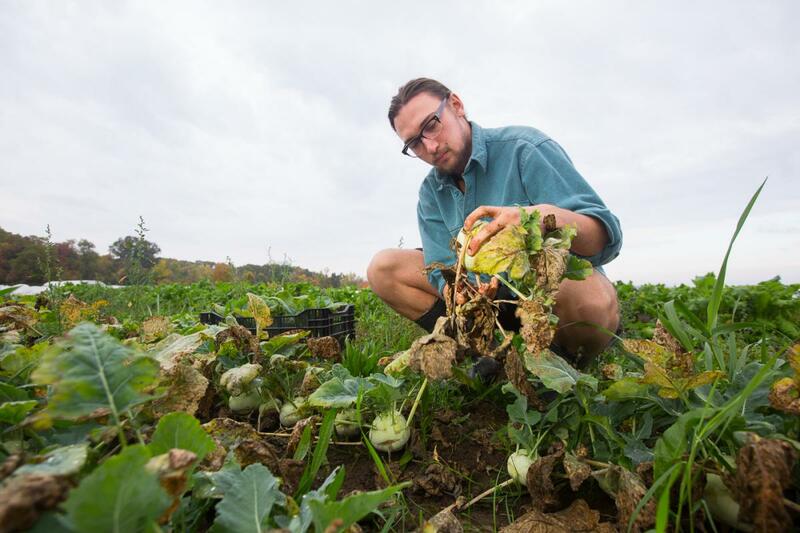 Grow organic crops at the UMass Farm in South Deerfield and the Agricultural Learning Center (within walking distance of campus) and sell them to the UMass Community! 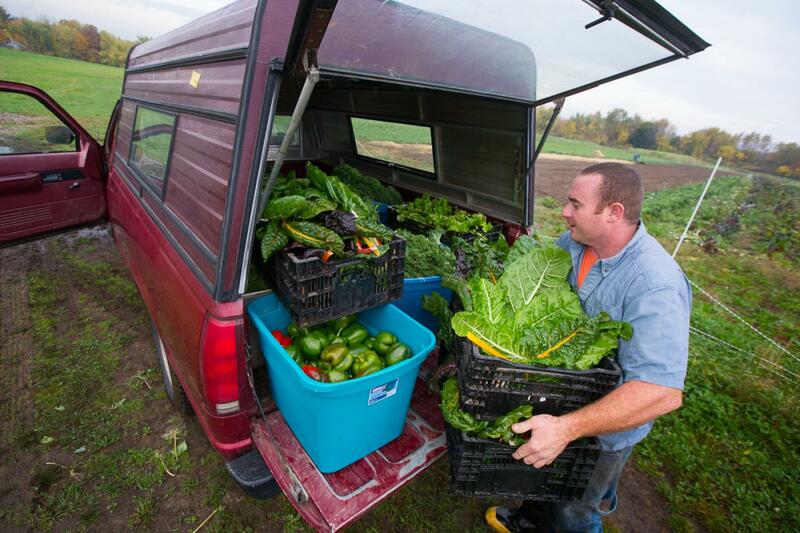 Are you excited about building and improving a sustainable local food system, here on the UMass campus? Do you want to put into practice what you've learned about farming, ecology, and agriculture? Do you love working outdoors in a beautiful place in all kinds of weather? Do you like working with a small group that is committed to a common goal? The course is designed with three parts: spring (planning and planting), summer (planting, growing, tending) and fall (harvesting and marketing). Taking both semesters and summer is encouraged, but not required. The course is designed to be taken in order, but it is possible to take the fall semester first or take only one semester if scheduling is an issue. We are now accepting applications for next semester. Preference will be given to those with academic background in agricultural sciences and with some farming or gardening experience, but we also seek diversity in majors, career goals, and life experiences. This is more than a class - it is also a student-run business. Be part of creating something new and exciting at UMass - a sustainable student farming project that will grow stronger every year! We continue to expand production and markets every year, along with our farming infrastructure. 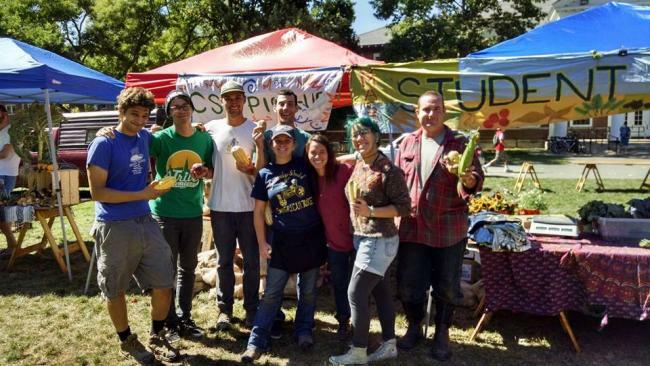 We will continue to work with our current cutomer base of seven on-campus markets including Earthfoods Cafe, a 60 member Fall CSA, Student Farmers Market, Dining Services and other student run businesses as well as the Amherst and Northampton Big Y Supermarkets. Take a peek at what it's like to be a student farmer in the video below!